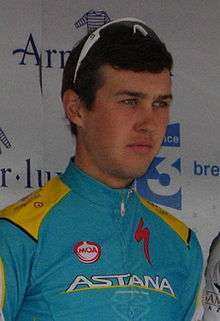 Daniil Fominykh (born 28 August 1991) is a Kazakh cyclist riding Astana. ↑ "Daniil Fominykh » Astana Pro Team". Retrieved 12 May 2014.